Arcade Fire is an orchestral indie rock band which formed in Montreal, Quebec, Canada in 2003. 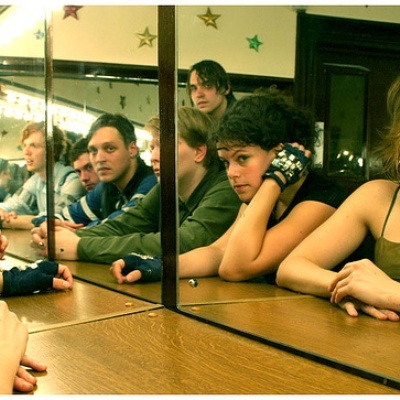 The band consists of Win Butler (vocals, guitar), Régine Chassagne (vocals, accordion, keyboards, hurdy gurdy), Richard Reed Parry (bass, guitar), William Butler (keyboards, guitar), Tim Kingsbury (bass), Sarah Neufeld (violin), and Jeremy Gara (drums). Howard Bilerman, who played drums on the album Funeral, has since moved on to other projects.